Deep Blue | Flickr - Photo Sharing! 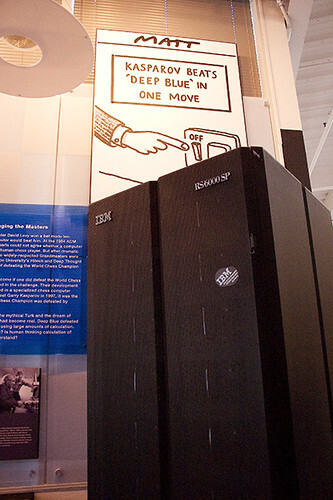 The IBM deep blue was the first computer in the world to beat a human at Chess. Thanks for photographing a bit of history. Oh where is this? Hi, I'm an admin for a group called Supercomputers, and we'd love to have this added to the group!